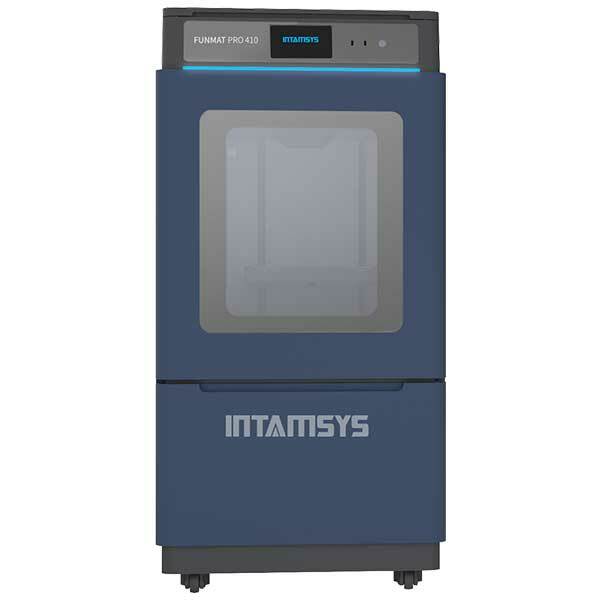 INTAMSYS introduces the FUNMAT PRO 410, an all-in-one solution for industrial additive manufacturing. 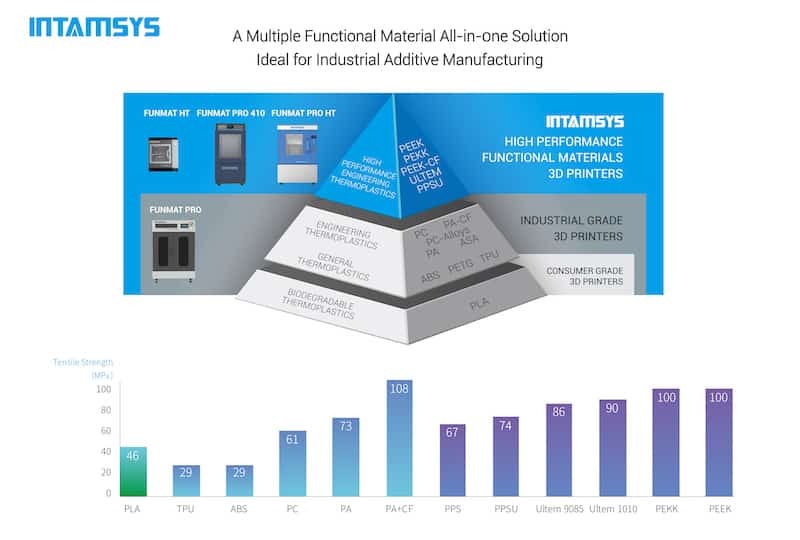 INTAMSYS is among the very few 3D printer manufacturers providing 3D printing systems able to print high-performance materials such as PEEK, ULTEM (PEI), and more. The high-temperature capacity allows the FUNMAT PRO 410 to 3D print more than 20 types of functional materials. 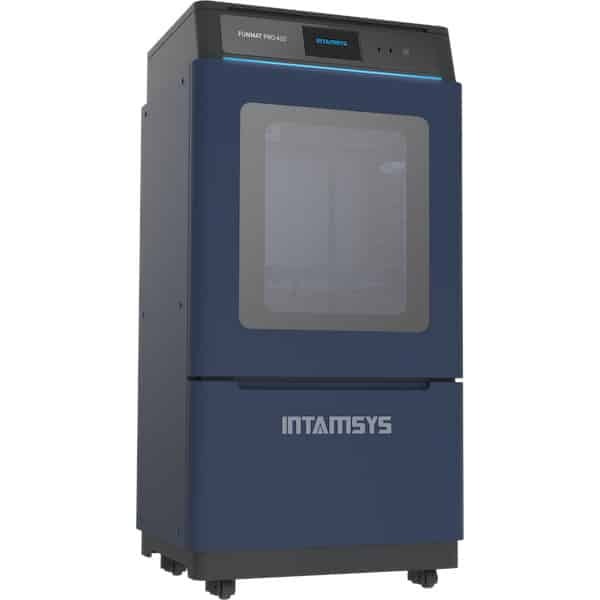 This 3D printer is designed for ease-of-use with features such as automatic leveling, jam warning, absence filament warning, and power failure recovery. The enhanced and intuitive user experience also includes a 7-inch Smart Touch Panel, and advanced connectivity (WiFi, USB, internet). 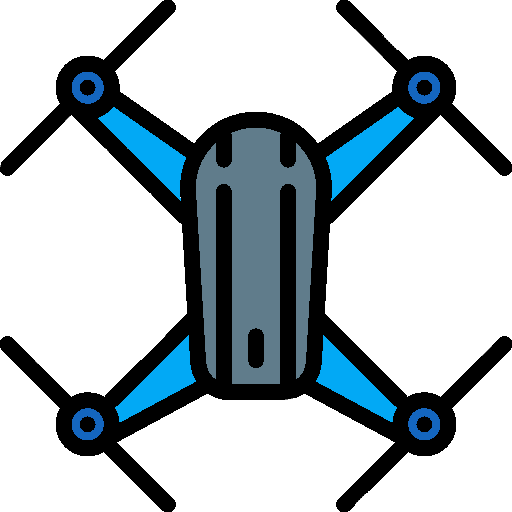 No matter how experienced the users are, they can quickly master the FUNMAT PRO 410. 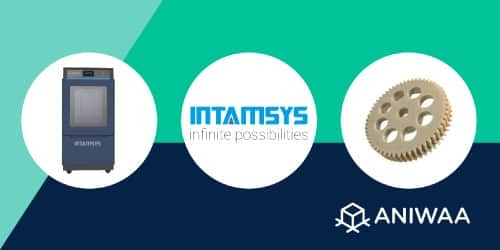 For each level of plastics (PLA, engineering plastics, high-performance), INTAMSYS offers corresponding support materials: SP1000 for PLA, SP2000 for engineering plastic (PA, PC+CF, PC ABS etc), and SP5000 for high-performance, functional materials like PEEK, PEKK, PEEK+CF, PEI, PPSU, and more. All of the support materials are soluble or breakaway so users can achieve smooth support surface. The FUNMAT PRO 410 also features a heated filament chamber in order to avoid filament moisture absorption during the printing process. 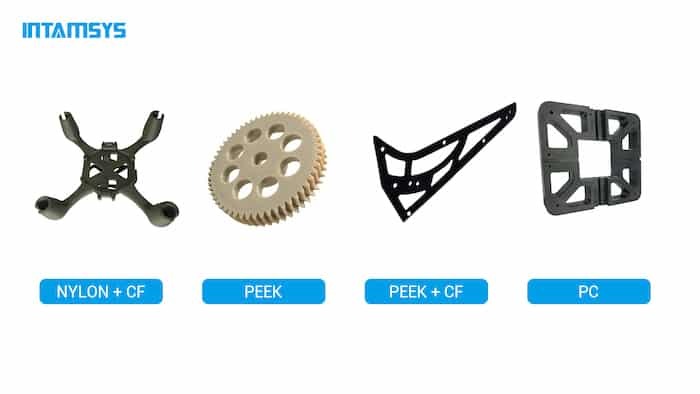 Filament Type PEEK, PEKK, PEI, PPSU, PC, Nylon, ABS, PLA, PVA, TPU, Carbon fiber Reinforcement, etc.